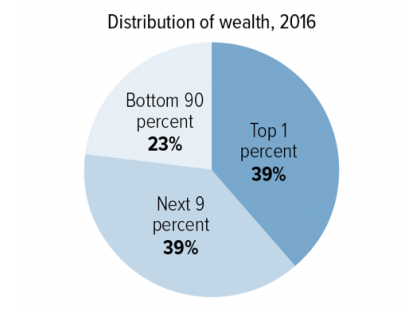 In fact, inequality is so high that a third of the population has no wealth at all and the top 0.1% owns as many assets as the bottom 90%. The researchers sat at specific crossroads, observing each driver’s attitude as an accomplice appeared on the edge of the curb while cars approached. The results were astonishing: people driving luxury cars like BMWs and Mercedes yielded to pedestrians half as much as drivers of cheaper cars. This experiment’s objective is to assess whether level of empathy is affected by how powerful the subject considers himself. The participants were also asked to rank themselves on questions measuring personal strength (“I can get people to listen to what I say”) and weaknesses (“My wishes do not carry much weight’’). That allowed the researchers to place them on a “sense of power” scale. The findings were hugely insightful: participants with a higher sense of power were far more likely to turn a blind eye to their partner’s story. More precisely, they “experienced less distress, less compassion and exhibited greater autonomic emotion regulation”. When making decisions or assessing situations, we tend to give a lot of importance to events we immediately recall; thus minimising the role of things we forgot or never thought about. Under the availability heuristic, people tend to heavily weigh their judgments toward more recent and concrete information. One practical example is that opinions are biased toward the latest news. This is dangerous because it’s a breeding ground for desperation and hopelessness. 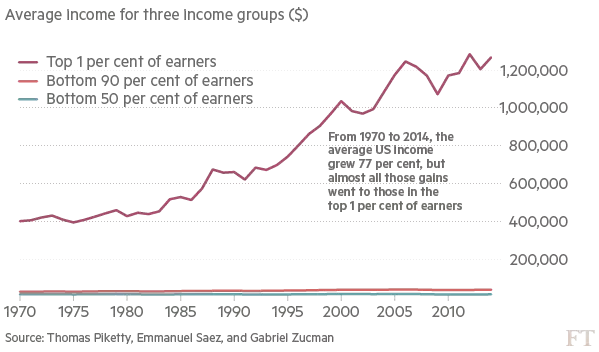 When people lose faith in the possibility of improving their condition, when they realise the American Dream has become nothing but a myth, they might resort to extreme means. The subtle combination of political lies, corporate story-telling and public ignorance that has maintained social peace may not last forever. If you wish to learn more or make your own opinion, they might be a good starting point. A great essay on the psychological effects of power. It was published in the Harvard Business Review by Dacher Keltner, psychology professor at UC Berkeley. An interesting experiment on how power lowers empathy. Published in the revue Psychological Science, it was supported by the Netherlands Organisation for Scientific Research. 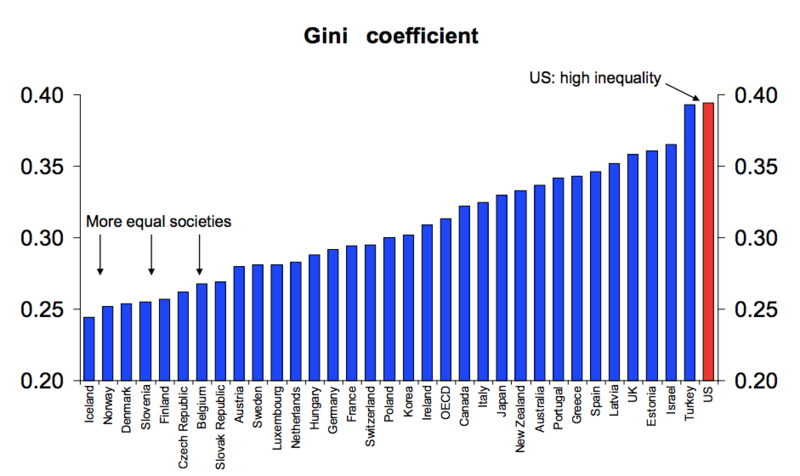 A remarkable 80-page note by the Deutsche Bank on inequality in the US. A thorough survey of U.S. families finances sponsored by the Federal Reserve System. 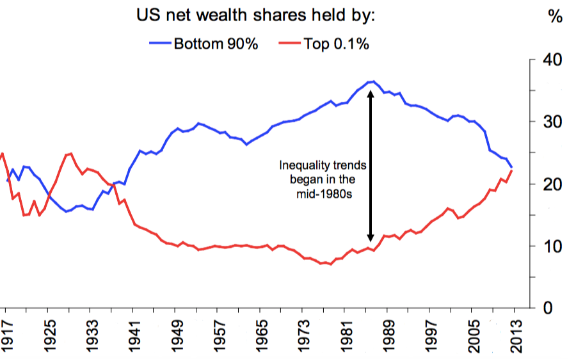 An up to date analysis of income inequality over the past six decades by the Center on Budget and Policy Priorities. 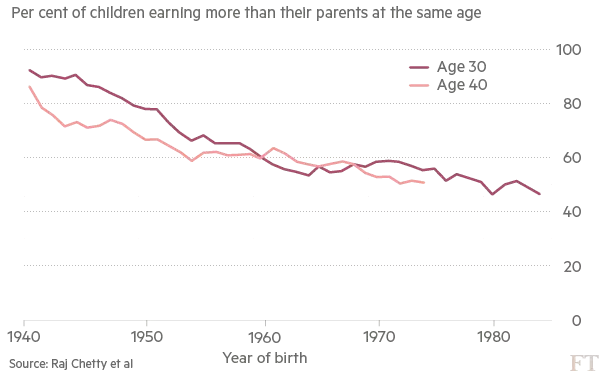 The Decline in Lifetime Earnings Mobility in the U.S.
A great analysis by Michael D. Carr and Emily E. Wiemers, two economists at the University of Massachusetts. An enlightening working paper by a team of economists from the National Bureau of Economic Research. A staggering study — published in The National Academies Proceedings — about the correlation between social class and selfishness. 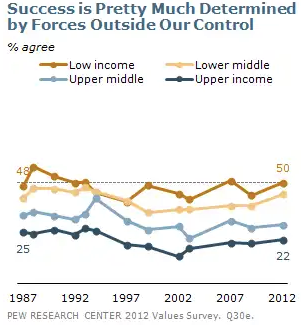 An extensive survey by the Pew Research Center on the basic beliefs and moral values of Americans. A great paper — published in the Review of General Psychology — demonstrating how bad experiences are better remembered and more impactful than good ones.